Storage units are good for a ton of different things. You can store small items like pictures, clothes, and toys, as well as big items like appliances and cars. While a storage unit can be a safe and easy way to store your items, there are a few written and unwritten rules to follow. Some may seem really obvious, but we've seen it all and there's always a story every year about something stored away in a unit that shouldn't have been. If you're getting ready to store some items, you'll want to make sure they are safe and that you're following the rules. Obvious or not, don't store these items. Living things. We'll start with the obvious things that people still store. Whether it's one day or 100 days, don't store any living thing in a storage unit. This includes animals, plants, or yourself. A storage unit is not a house. All of these instances have happened and all of them are illegal—not to mention a little cruel. We have 24/7 security to see any illegal activity, and we also want our units to be used in a humane, safe, and legal way. Hazardous and dangerous materials. Let's cover all the bases. Obvious materials you can't store are things like dangerous chemicals and anything that is highly flammable, like ammunition, cleaners, and gasses. If it can start a fire or let out a dangerous odor or substance, it shouldn't be stored in a unit. It's perfectly legal to store tools that use gas—like a lawnmower—but the gas tank should be completely drained. If you need to store a firearm, your local gun store will store these items safely and securely. Other materials and substances like paint or fertilizer shouldn't be stored either. If it can cause a health risk, there are safer alternatives. No one wants to come back to a storage unit that is destroyed or dangerous to enter. Perishable items. If you or a pet you own can eat it, it shouldn't be stored. Obviously, if it's in there for a long time, it probably won't be good when you get back to it. Storing food for any amount of time can be an open invitation for rodents and insects as well. Although all the units are nice and safe, we can't do it all. It takes a little help from our customers. Refrigerators and other appliances are not allowed to be connected to power for safety reasons. So food isn't allowed to be stored in any way. Perishable items shouldn't even be stored in the temperature-controlled units. Illegal items. Back to the obvious, if it's stolen or illegal, it can't be stored. This includes drug related items and any stolen items. You don't want to get in trouble with the law. Unregistered vehicles. We allow boats and RV's to be stored if they are legally owned. If your car or boat is registered under your name, then there is plenty of space for that. If the car isn't registered or is registered under someone else's name, then it can't be stored. Make sure to show up with a title and proof of registration. Possible items to avoid. You should really think before storing anything that is really expensive or valuable to you. 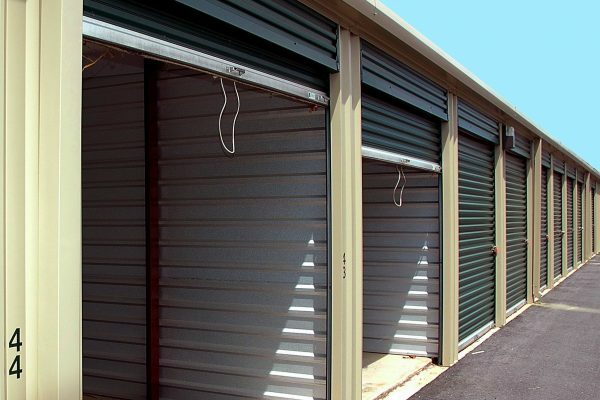 Storage units are generally safe and secure. As we mentioned before, Store it America takes security measures to make sure everything is safe, but things can still happen. To give yourself peace of mind no matter how good the security, things like expensive jewelry, money, and important documents should be strongly considered. If you couple leaving dangerous materials and valuable materials together in a storage facility, then you're at even more risk. Maybe some of these suggestions and rules made you laugh, and maybe some left you wondering where to put things. In either instance, these rules and guidelines are in place for the safety of your belongings and the belongings of others inside the units around you. There are a ton of really good uses for a storage unit. If it's used correctly, a storage unit can be a perfect place to keep your items during a big move, for extra storage, or vehicle storage. Store It America has a variety of storage units and ways to keep your items safe and secure. Contact us if you have any questions about storing an item legally and safely.